Is there an affordable battery backup option for your solar array at your local warehouse store? You might’ve heard that Costco sells decently-priced golf cart batteries that are great for solar applications like small off-grid systems or campers. You can find references to this idea in a few different forums, but we decided to take a bigger dive to get the scoop on whether Costco golf cart batteries are worth our time. Turns out, they’re actually a pretty good deal! 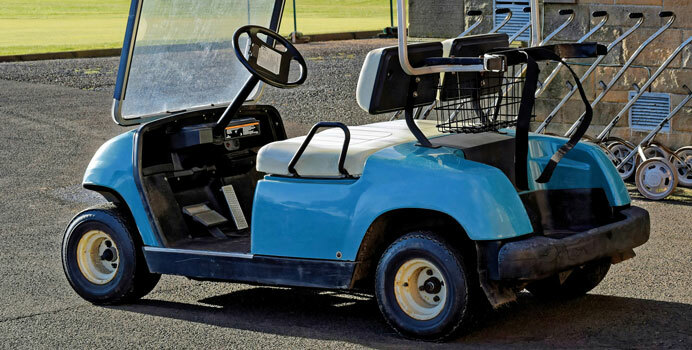 Golf cart batteries are deep cycle batteries designed for heavy, long-term use. Unlike your car’s battery, which puts out a high amount of electricity for a short period of time (to allow your car to crank), deep cycle batteries are designed to give lower amounts of electricity over a longer time frame – perfect for back-up power! Golf cart batteries, marine batteries, and batteries specifically designed for renewable energy projects all have this key feature. Costco’s batteries – like all golf cart batteries – are 6 volt, so you’ll need to buy at least a pair to create a 12-volt system. This really isn’t an issue, though, and is a common tactic for DIY solar enthusiasts (some batteries even come in 2 volts!). 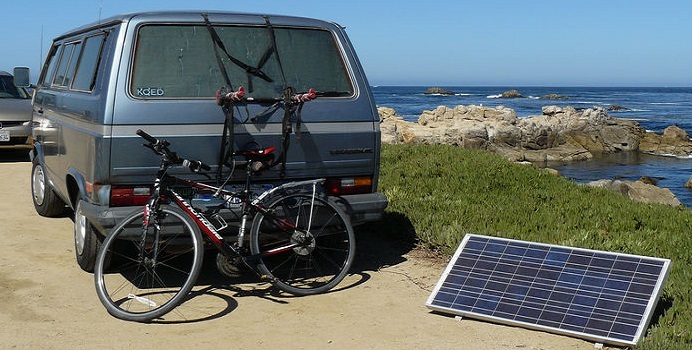 For more information on voltage and connecting batteries, read over our article Wiring Solar Panels in Series vs Parallel: Which Is Better? While Costco might put their private label on the golf cart batteries they sell, the batteries are actually made by Interstate, a well-known and respected battery manufacturer. So right off the bat, that’s great news. These stats are very similar to two of Interstate’s direct offerings: the value-minded PF-GC2-UTL deep cycle battery and their more-premium high-cycle GC2-HCL-UTL, both of which are around $150 – much higher than Costco’s offering. The models above are about 10.5”L X 7”W X 11”H and weigh 58 pounds. Interstate batteries come with a full replacement warranty for 6 to 12 months, depending on the model. According to an Interstate rep, their Costco battery is able to cycle 1,220 times to 50% depth of discharge (50% discharge is the typically the recommended amount of discharge before you should charge the battery back-up). In other words, you should be able to use your battery 1,220 times in its lifetime, as long as you don’t discharge it too much. How does this cost compare to other battery options out there? Let’s find out! Are they more cost-effective than other batteries? Let’s compare the cost of Costco’s battery to two other popular options for smaller solar installations. The Trojan T-105, just like Costco’s offering, is a 6-volt golf cart battery, but at 225 amp-hours sees just a bit more capacity. The battery can easily be found for about $150. While Trojan doesn’t publicize the cycle life of the T-105, one online user did note that the T-105 data sheet formerly claimed a cycle life of 1,600 at 50% depth of discharge – almost 400 more cycles than the Costco battery above! Based purely on purchase price and cycle life, the Costco golf cart battery appears to be a better deal than the Trojan – saving you about $0.03 per kWh. Surrette Rolls is a well-known battery manufacturer based in Nova Scotia. If you’re looking for batteries that are a bit larger than the two above, Surrette’s S-500EX produces 357 amp-hours at 6 volts. According to the spec sheet, the battery lasts an incredibly-high 2,750 cycles at 50% depth of discharge. The Surrette Rolls battery is about $0.04 per kWh more than the Costco battery and a penny more per kWh than the Trojan battery. Of course, with this higher cost, you’re getting a product from a well-respected company that’s been around for over 50 years. On top of that, you’re also getting a whopping 7 year warranty – much longer than the other companies! And this brings up an important point: cost isn’t everything. Warranty, durability, and reputation play a large role in determining whether a product is better for you or not, so weigh these components carefully as well! Do Costco golf cart batteries match your needs? 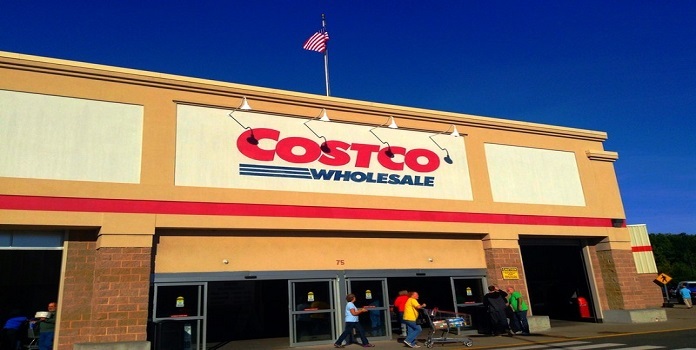 Beyond cost, warranty, and the other considerations we mentioned above, you also need to decide whether Costco’s lower-cost batteries fit your needs. While they’re cost-effective compared to the other batteries above, they also don’t carry the warranty that a more premium battery does. If you need just a couple batteries for your camper, the convenience of a Costco purchase might make sense. If one dies on the road, simply pull into a Costco and switch it out. 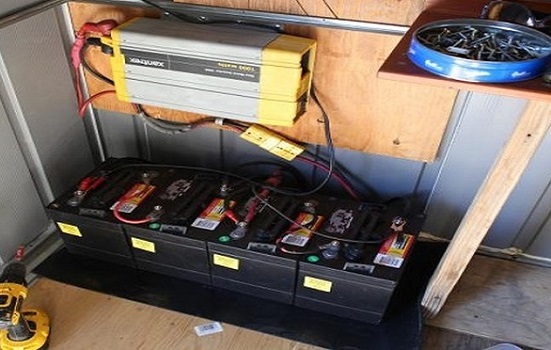 On the other hand, if you’re outfitting your off-grid cabin and expect to use a lot of electricity, it probably makes more sense to purchase higher-capacity batteries from a well-known manufacturer. You might spend more on the outset, but in the end you’ll have a product that suits your needs much better and has a longer warranty. Should you buy Costco golf cart batteries? 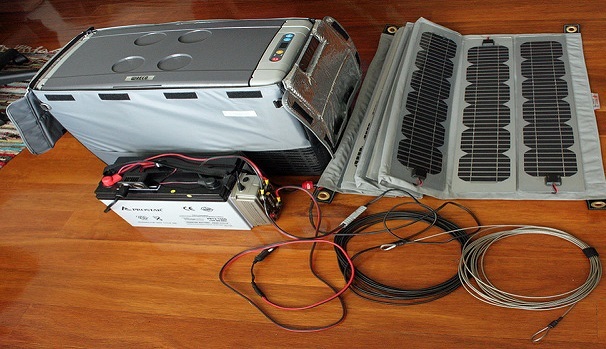 You can, in fact, use Costco’s golf cart batteries for your solar installation! As 6-volt batteries, you’ll need at least 2 to create a 12-volt system, but at this cost that’s easy to do. They’re very cost effective. For the amount of electricity you’ll get throughout the life cycle of your batteries, you really can’t beat the price. While Interstate is well-known and their warranty does offer a full replacement, it’s rather short when compared to other premium battery manufacturers. While they are the cheapest, be sure that these batteries make the most sense for your installation. If you’re in the midst of a big project, consider purchasing a smaller number of batteries with a higher capacity. All that to say, if you’ve got a small project that only needs a couple batteries, Costco’s offering seem to be a reliable option. If you’ve purchased Costco batteries for your solar or renewable project, we’d love to hear about your experiences! Let us know in the comments below.